Lot:2072 1909-D Indian Eagle. MS-64 (PCGS). 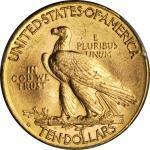 1909-D Indian Eagle. 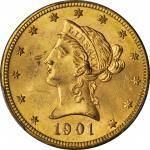 MS-64 (PCGS).This gorgeous coin offers undeniable condition rarity in a 1909-D Indian eagle. Fully lustrous with a frosty texture from the dies, both sides also possess sharp striking detail and vivid rose-gold patina. One of the lower mintage entries in the Indian eagle series with 121,540 pieces produced, the 1909-D is still far from the rarest issue of the type in terms of total number of Mint State coins extant. 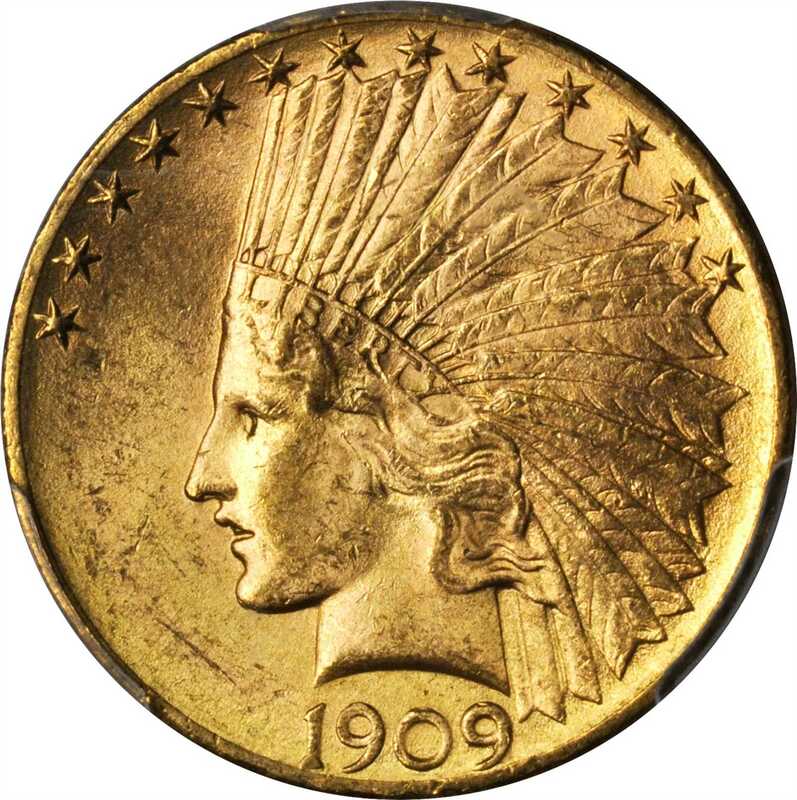 Thanks to the relative availability of lower grade survivors in the MS-60 to MS-63 range, the 1909-D is only a median Indian eagle rarity in an absolute sense. However, this availability severely decreases as you approach Gem condition, and the present example is among the finer examples certified by PCGS.From the Fairmont Collection.